The Active Challenge Camp is for young women 12-18 who are committed to improving their health and having a wonderful time doing it. Active Challenge is traditional camp in many ways with lots of fresh air, fun and friendship. Our camp is designed for young women who are ready to make their health a priority. The focus of our program is self-care. Young women learn to take good care of themselves through nutrition and exercise, to take responsibility for their past actions and move towards a set of behaviors that will support them in the future to realize their full potential. The Active Challenge Camp is a small personal program of 4-weeks in duration. Awake and ready for a great day! Instructor led hike. Campers are grouped according to fitness level and energy level. Warm up followed by hike and stretch. A delicious breakfast to get the day going. Campers sign up for instructor led activities. Swimming, personal time, shower time, journal time. Activity choice, workshops, cabin activity or guest led activity. Get lots of rest, tomorrow is another day to realize your dreams. Each Camper at Active Challenge will receive a Success Journal. In it Campers record their activities and fuel consumption. The journal is also a resource guide and acts as a workbook for the nutrition seminars, goal setting and confidence workshops and culinary training classes. Personalized meal plans and fitness plans will be incorporated into the success journal. The success journal is a place to record your experiences and feelings and is meant to be a constant companion to our campers as they work toward the goals they have set for themselves both at camp and at home. All campers will learn how to safely enjoy outdoor activities. 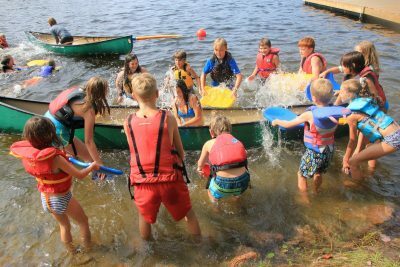 Water safety, canoe instruction, and packing and dressing for expeditions will be taught to all campers in preparation for their canoeing, hiking and rafting expeditions. All campers will participate in a minimum of a 3 day canoe trip and overnight hiking trip as well as 2-days off-camp at an adventure resort rafting, climbing and sea kayaking. 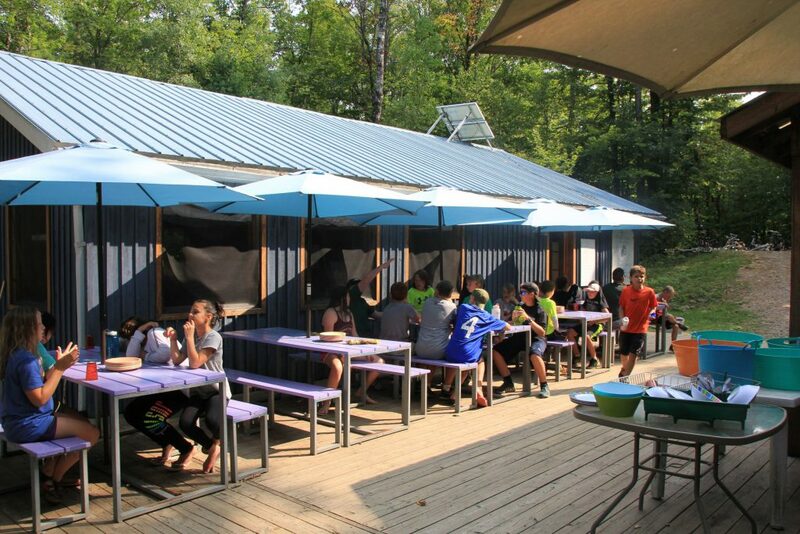 All campers will participate in Nutrition seminars with our Registered Dietician. Nutrition seminars focus on dispelling myths about diet and nutrition and moving toward healthy living through balanced nutrition and portion control. Campers will participate in cooking classes to learn how to shop for and prepare healthy, enjoyable meals for themselves and their families at home. Our fitness instructors and personal trainers will evaluate all campers’ level of fitness in the first days of the camp program. We will record your measurements and weight at the beginning of the camp program and challenge you in physical tests of agility, flexibility and endurance. Campers are permitted additional weigh-ins (if requested) once a week for the duration of the program. At the end of camp, all participants will again be assessed using the same measures as at the beginning of the program. All results will be recorded and will be added to each camper’s success journal. Our qualified staff and special guest instructors will lead campers in a variety of fitness classes and workshops including: yoga, stretch and relax, pilates, core strength classes, athletic training classes, aerobic classes, step classes, strength training, and martial arts. 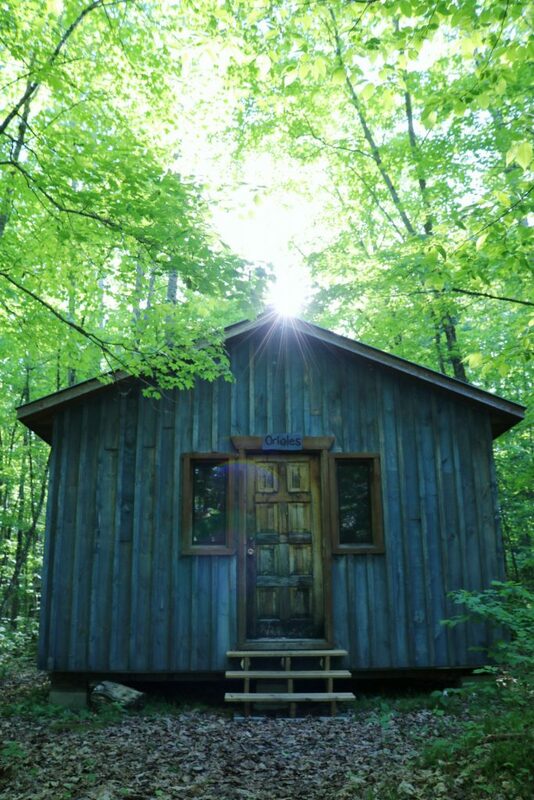 Cabins will be able to choose some of their activities to participate in as a group each day. Activities may include high-energy choices such as low ropes course challenges, field games such as soccer or ultimate frisbee, water activities, mini-triathlons, and mountain biking. Cabins may also choose activities such as jewelry making, sewing, and other crafts. Cabin group activity time will also be used for seminars and workshops throughout the camp session. During activity choice periods campers will attend an activity of their own personal choice that they have signed up for from among a list of instructor led activities. These activities may include: field games, fitness based activities, water based activities, art or craft based activities, workshops (such as first aid, makeup application with a guest instructor, or personal/professional skills), swimming instruction, sport instruction or personal success counseling. A movie night or all camp campfire can be expected each week. At Active Challenge, campers have the opportunity to participate in all kinds of fitness classes and activities with qualified fitness professionals and personal trainers.